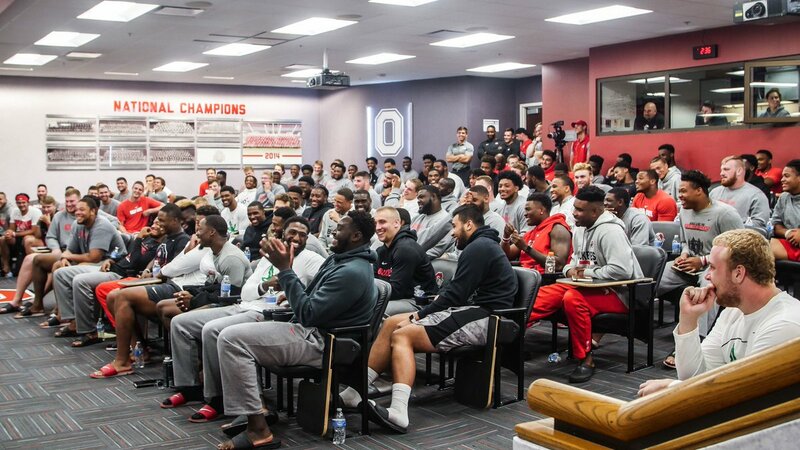 With all the drama this week surrounding head coach Urban Meyer, the Buckeyes finally got a chance to decompress as a team, as they brought into the facility to chat with the team famous comedian Sinbad. With plenty of television and movie roles to his credit, what some people might not know about the comedian is that he attended college from 1974 to 1978 at the University of Denver in Colorado, where he lettered two seasons for the basketball team. Check out the funny clip below of Sinbad talking about ‘training’ and going for that ‘one last rep’ during workouts. Introducing Game Day Tavern: The Number One Place To Watch The Ohio State Buckeyes This Season!